We love snacks, snacks are the best. Know who agrees with that? KIDS! Kids are home 24/7 this summer and we have 5 ideas for you that might help fill them up for…let’s be honest, a few minutes! Don’t take it from us though, see these delicious ideas from some of our favorite Stonyfield friends. Liz and her kids know how to have fun in the summer, they love freezing their pouches so they can thaw by lunchtime in their lunchboxes! See more fun pouch ideas in The Lemon Bowl’s post here! With a busy summer planned, Erika is prepping ahead of time to ensure her boys are going to have a happy and healthy summer vacation. She does this by using lunch-boxes all year round, freezing everything, and serving up some delicious Stonyfield Organic Kids Pouches. Check out her other tips for planning a healthy summer on her blog! In Chandra’s words, “A perfect summer snack has to meet a few criteria: it has to be nutritious, easily portable with minimal mess, and something my kids will actually eat.” With kids on the go, Chandra loves a summer snack her boys can enjoy while playing and adventuring. 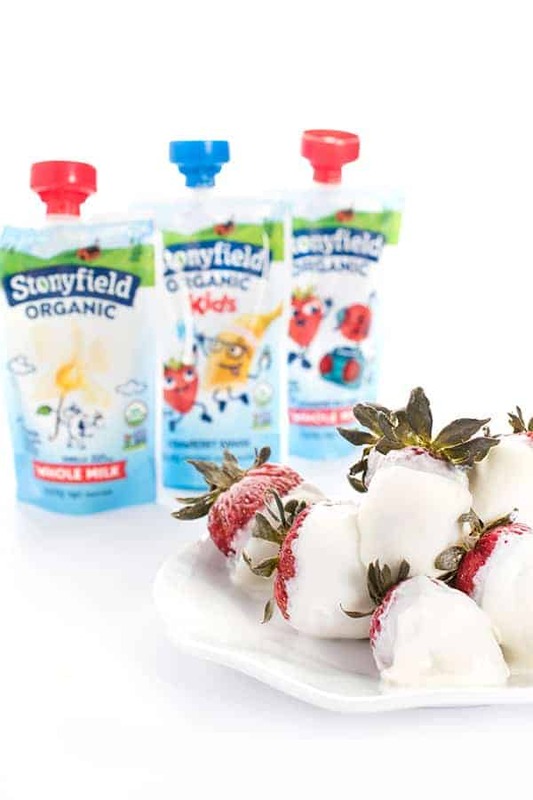 Check out her blog and see why she’s loving our Stonyfield yogurt pouches! Bev whipped up these “anytime yogurt carrot muffins” to create the perfect on-the-go, kid-friendly snack. This easy recipe can be enjoyed not just at breakfast time, but anytime! 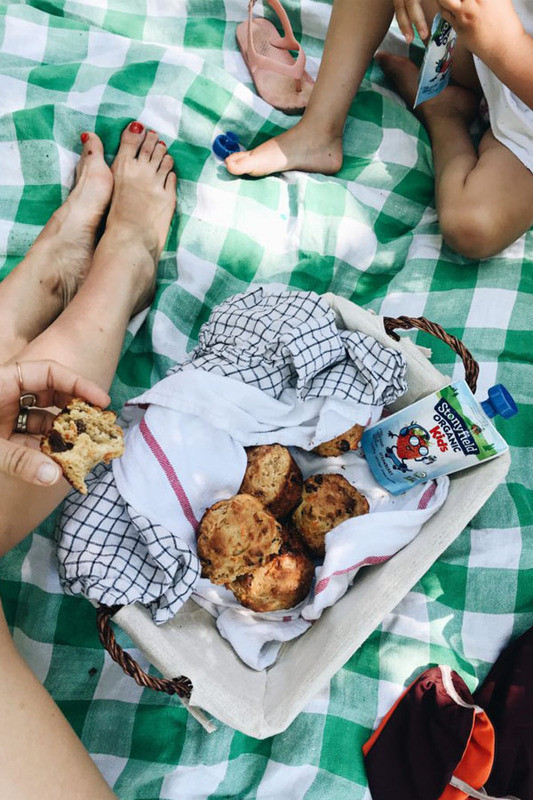 So, grab a bag, throw in some delicious Stonyfield Pouches your kiddos will love, some yogurt carrot muffins, and hit the beach! Wink wink – it’s always a great way to sneak in some additional veggies. Get the recipe here! Janssen likes to think ahead. With only 8 weeks of summer, she wants to make the most of it. When planning fun things with the kids, you can’t forget quick and easy snacks. From tubes to smoothies, Janssen has one less thing to worry about! See how she plans an epic summer for her family on her blog!